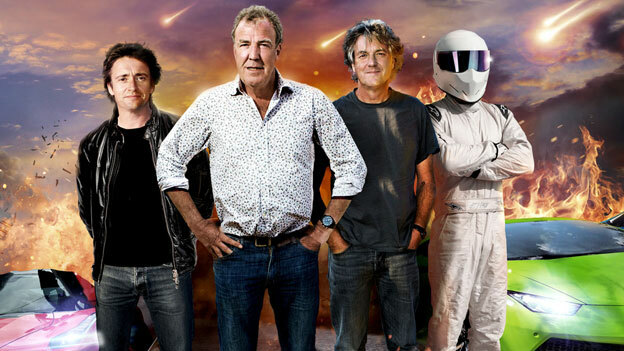 Top Gear: A vehicle for controversy? Top Gear host Jeremy Clarkson has been suspended by the BBC "following a fracas" with a producer. The corporation said the 54-year-old presenter had been suspended "pending an investigation". "No one else has been suspended. Top Gear will not be broadcast this Sunday," it said. 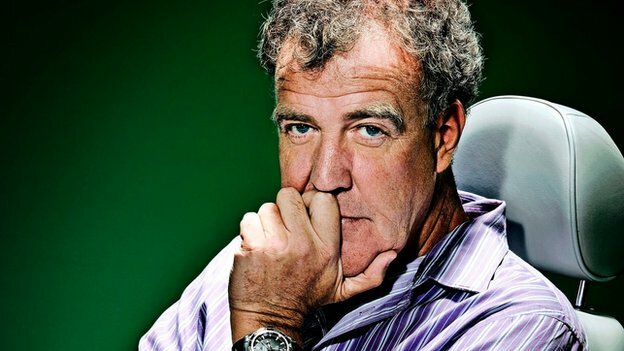 Clarkson was given what he called his "final warning" last May after claims he used a racist word while filming the popular BBC motoring show. At the time, he said the BBC had told him he would be sacked if he made "one more offensive remark, anywhere, at any time". The BBC gave no further details on the current incident involving Clarkson, and said it would not be making any further statements at this time. Clarkson's representatives have yet to reply to requests for a comment. The presenter himself has remained silent. Last month, though, he tweeted a post saying a "new presenter for Top Gear" was wanted. "Applicant should be old, badly dressed and pedantic but capable of getting to work on time," his message went on. This weekend's episode of Top Gear was set to feature Clarkson - who has fronted the show since 2002 - along with regular co-hosts Richard Hammond and James May at a classic track day. Former footballer and pundit Gary Lineker was also to appear as the "star in a reasonably priced car". Former Top Gear presenter Chris Goffey told BBC Radio 5 live that while discussions on the programme sometimes became heated when he worked on the show, "it must have been something fairly serious behind the scenes to warrant his immediate suspension. "I can't think what the hell's gone on, but there you go. When you've got a very strong character who likes things his own way, if somebody stands up to him, there's going to be a row." Clarkson has courted controversy on several occasions during his time hosting Top Gear. The show's executive producer, Andy Wilman, described last year as "an annus horribilis" for the programme. It followed an incident in Argentina where the presenters and crew were forced to flee the country after trouble erupted over a number plate reading H982 FLK - which some suggested referred to the Falklands conflict of 1982. 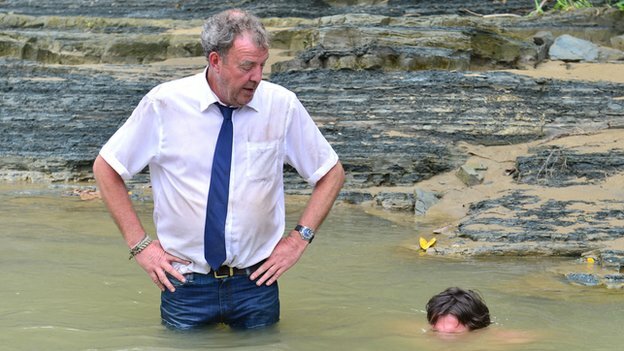 Last year the show was also censured by Ofcom for breaching broadcasting rules after Clarkson used a derogatory word for Asian people during its Burma special programme. TV critic Toby Earle told the BBC he was not surprised a Clarkson's suspension. "This incident is the one that's really forced management to take action," he said. "Part of the show's appeal, to many viewers, has been it's sort of edginess and the fact that it's rough around the edges - in some ways takes no prisoners. "But of course there is a very delicate line to tread with that, and it has crossed that line I feel."